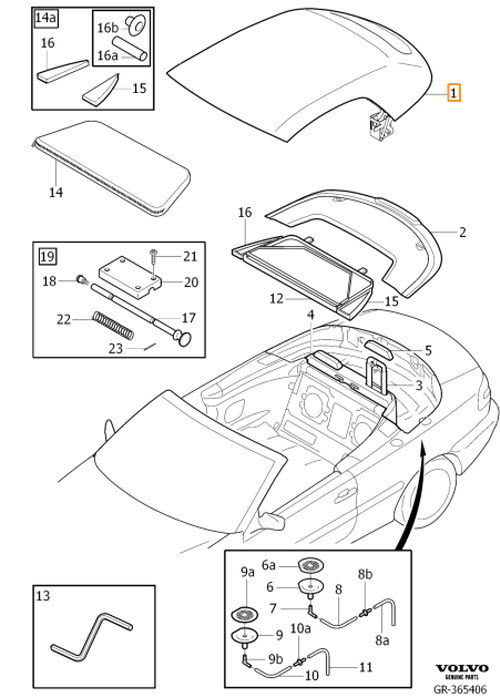 The Volvo C70 1998-2004 convertible top has so many parts in so many different locations that we decided to create a page for all of them. REPL 1PCS 9474507-2, 1PCS 9474508-0,, 1PCS 9474509-8,, 1PCS 9474512-2. PERL 1PCS 9486949-2, 1PCS 9486908-8.